All aquarium plants will reproduce in tanks, so there is no point in collecting them in their natural setting, unless you want new species or a pure variety. Some plants sold in aquatic stores are mere hybrids bearing the name of one of its two "parents", which can sometimes lead to confusion. The collection of certain plants from the wild is prohibited. 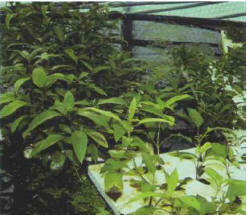 An enormous variety of plants can be cultivated, in this case under glass, in an extremely hot and humid atmosphere. Aquarium plants are cultivated by specialist companies, mainly in South-East Asia but also in Europe and the United States. 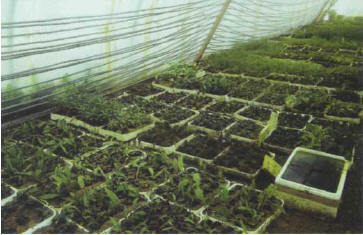 Agricultural greenhouses are used, partly heated by solar energy, or sometimes geothermically, using hot water pumped into irrigation canals. Sunlight may be complemented by artificial lighting if the plants demand this. Most aquarium plants are raised out of water. Most species are raised with a large part of the plant - or even all of it - outside the water, although the environment is extremely humid. They adapt to the aquarium setting, but tend to change the shape of their leaves when introduced into this different environment. ИФНИ (Ifni) , территория в Марокко. В 1860 захвачена Испанией, по франко-испанским соглашениям 1901, 1904 и 1912 включена в испанскую зону Марокко; в 1958 объявлена испанской провинцией. В 1969 воссоединена с Марокко.